Schalisha brings her personal foster care experience to advocating on behalf of youth in care. In addition to her current role as a youth advisor, Schalisha serves on several community boards, including the Disproportionate Minority Contact board, Crossover Youth Practice Model Subcommittee, Omaha Court Collaboration Team and South Omaha Violence Intervention and Prevention board. She also teaches life and job skills every other week to state wards at Alpha Alternative School and mentors. 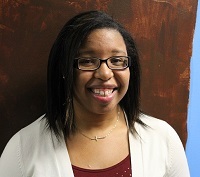 Schalisha is currently working toward her degree in Social work. Learn more about Schalisha.